Jane’s memorial service will be 11 a.m., Monday, January 21st at the First United Methodist Church, 210 N. 2nd Ave. E. in Newton. The family will greet friends from 10 a.m. until the time of service on Monday, January 21st at the church. They will also greet friends immediately following the service with a lunch at the church. Memorials to First United Methodist Church or to Progress Industries may be left at the church on the morning of the service or at the Wallace Family Funeral Home. If you are mailing the memorial to the funeral home, please add, Attn: Guy Family on the envelope. Jane V. Rowe Guy, the daughter of Jerome V. and Nina Steeg Rowe was born on December 28, 1934 in Waterloo, Iowa. She was a graduate of Waterloo West High School. She received her B.A. Degree in 1957 from Iowa State University. On November 21, 1959, Jane was united in marriage with Paul E. Guy in Waterloo. They were blessed with four children, Mike, Mark, Eric and Gretchen. Jane worked as a Parent Coordinator at Heartland AEA for18 years, retiring in 2005. She was a member of the First United Methodist Church and the Mothers Club both in Newton for 57 years. She taught the Growing In Faith Sunday school class. Jane loved being with her children, grandchildren and great-grandchildren. She also enjoyed sending hand written letters to people, cooking, doing cross-stitch and knitting. Jane had lived in Newton for 59 years. 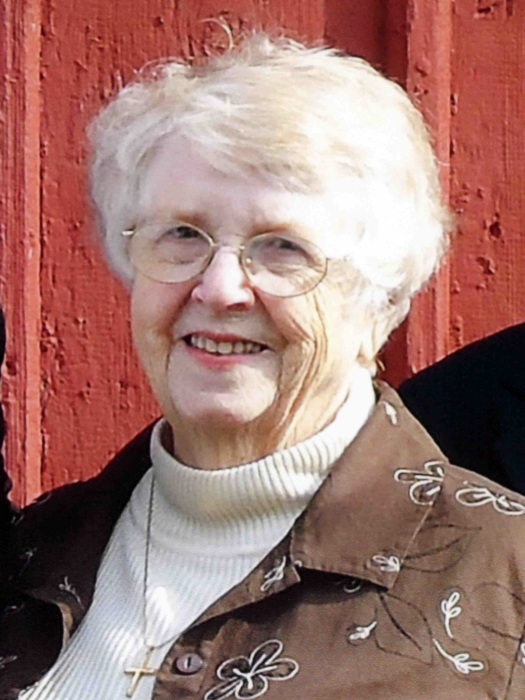 Jane died on Monday, January 14, 2019 at Park Centre in Newton. She was 84. She was preceded in death by her parents; and aunt, Azure Rowe. Those left to cherish Jane’s memory are her husband, Paul of Newton; children, Mike and Rhonda Guy of Newton, Mark and Linda Guy of Iowa Falls, Rev. Eric Guy and Naomi Sea Young Wittstruck of Des Moines and Gretchen Guy of Newton; her eleven grandchildren, Matthew and Summer Guy, Alan and Sarah Guy, Jaya Guy, Maya and Michael Van Voorst, Jana Guy, Luke Guy, Leah Guy, Jordan Liekweg, Tad Guy and Ryan Koning, and Jonah Guy; six great-grandchildren, Taylor Guy, Tyler Guy, Tanner Guy, Grace Guy, Rebecca Van Voorst and Elizabeth Van Voorst.